Your continued support, as well as your feedback, ideas and encouragement. All of the patients and families who allow me into their lives at a most vulnerable time of illness. The healthcare staff at the numerous hospitals where I’ve had the opportunity to play for those they serve. The opportunity to speak and play in front of thousands at healthcare conferences, sharing the special message of music and healing. Sharing my music with thousands on my website, as well as through retail shops and stores – on CDs, downloads, DVDs and via the AMMM Machine. The hundreds of people who follow me on Twitter (@HarpForHealing) and the wonderful people I am following. It is a window into people’s lives all over the world. I would never have this opportunity to connect without these unique technical programs. Time to enjoy my parents this week, as well as prepare for the very busy month of December. Care Providers, Minneapolis, MN, November 2011. Mayo Clinic’s Quest for Quality, Rochester, MN, October 2011. Iowa Hospice conference, Ames, IA, October 2011.
International Parish Nursing Symposium, St. Louis, MO, September 2011. American Institute of Medical Education, Santa Fe, NM, August 2011. Avera Sacred Heart HealthCare System; Yankton, SD, July 2011. The Compassionate Friends national conference; Minneapolis, MN, July 2011. Health Ministries Association Summit; Chicago, IL, June 2011. 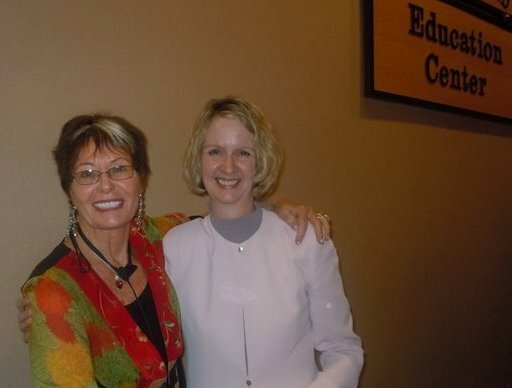 Holistic Health and Healing Institute; Woodbury, MN, June 2011. 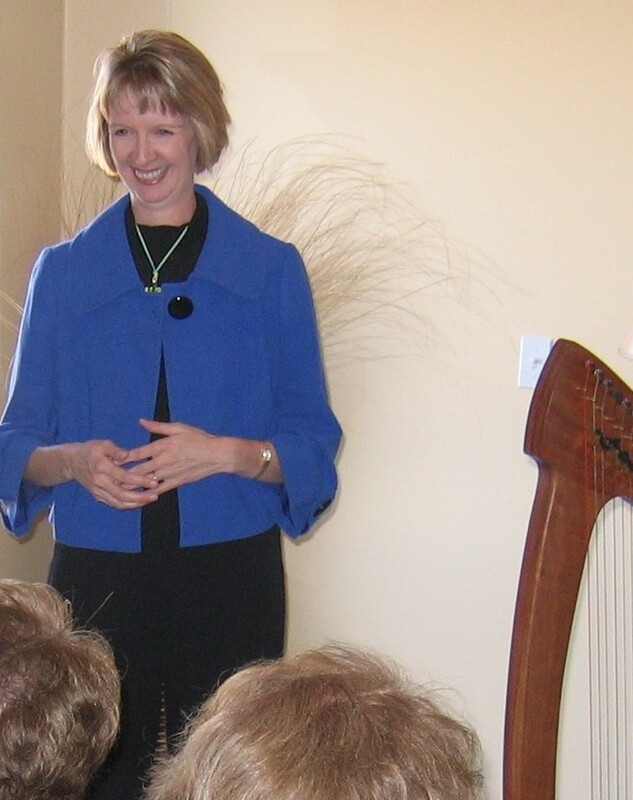 Healing Harp Concert at Hope Presbyterian Church; Spicer, MN, June 2011. Care for the Caregiver; Eau Claire, WI, May 2011. Mayo Clinic Cancer Care Connections; Rochester, MN, April 2011. Association of Professional Chaplains national conference; Dallas, TX, March 2011. 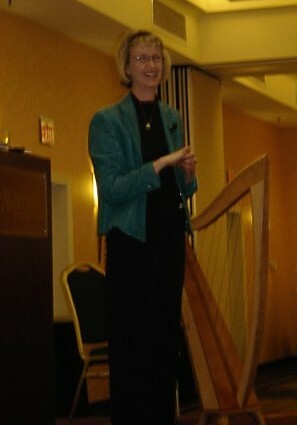 Integrative Therapies Retreat; St. Paul, MN, February 2011. Washington County Senior Workers; Stillwater, MN, January 2011. I still have some availability in 2012 … I would be happy to present/play at your special event and I look forward to working together! To give Dr. Watson a break, I was invited to do a presentation, “Entraining Peace and Engaging Presence.” While I always love to speak, sometimes the sessions are really special … and this was one of them! After Dr. Watson had created such a loving, sacred space, my job was easy. Our messages are so congruent … music can be one important component to creating a healing, caring environment … what an honor to “share the stage” with her. Upcoming presentations … you are invited! I am excited to share three u pcoming presentations. If you are interested in the topic of music and healing, come join us! October 26-27 – Iowa Hospice conference in Ames, IA. Break-out session at 2:45-3:45 on October 26. October 31-November 1 – Mayo Clinic’s Quest for Quality national conference in Rochester, MN. Break-out session at 9:45-10:30 on October 31. November 14-16 – Care Providers conference in Minneapolis, MN. Break-out session at 12:15-1:30 on November 15. I will also be doing a presentation the 14th of November on my newest book called “Women as Healers.” If you would like more information about this offering, click here. I am excited to return to the state where I grew up (Missouri) for the Westberg Parish Nursing Symposium in St. Louis, September 16-18. This is a special year celebrating the 25th anniversary of Granger Westberg’s initial vision for parish nurses, faith-community nurses and health ministers. Yesterday, I presented to the Edina Professionals Servings Seniors (EPSS) group – a networking organization where everyone in attendance is passionate about serving seniors. We had a great time together! And seniors love the harp. Its music is gentle, relaxing, calm, mellow, beautiful … this age group appreciates and “gets” the harp. And I love sharing it with them via live performances, as well as CDs. I will be speaking/playing on Saturday, March 26, as well as playing during one of their worship services on Friday morning. I have been to this hospital chaplains’ conference several times … I look forward to re-connecting. Then, the MN Hospice and Palliative Care conference is April 11 and 12 at the Sheraton Hotel in Bloomington, MN. I will be co-presenting with hospice consultant, Lores Vlaminck and playing the harp for a couple of other sessions. This, too, is a wonderful group and I’m excited to be present with them!